European cinema is the pleasure of being part of human stories on the big screen that bring us closer to ourselves and unite us as a community. Thereon, for a second consecutive year, more than 1000 cinemas in Europe celebrate the European Art Cinema Day by presenting their curated programs including the best and most exciting films of the year. One of the ambassadors of the initiative this year is Swedish director Ruben Ostlund. "It's much more focusing on important questions in contemporary time. And that is what art cinema is for me - raising questions when we're discussing society", says Ostlund whose film "The Square" won the Palme dÓr at Cannes on May and provoked turbulent reactions by audience and critics. 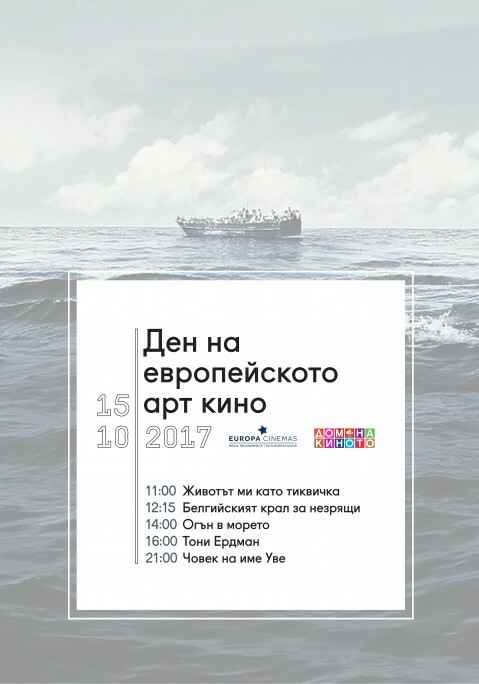 The Bulgarian partner of the European Art Cinema Day 2017 is Cinema House where some of the most successful European films will be screened on 15 October. The selection includes four films that have been awarded by European Film Academy - "My Life As A Courgette", "Fire At Sea", "Toni Erdmann" and "A Man Called Ove". European Art Cinema Day is an initiative of CICAE and Europa Cinemas.